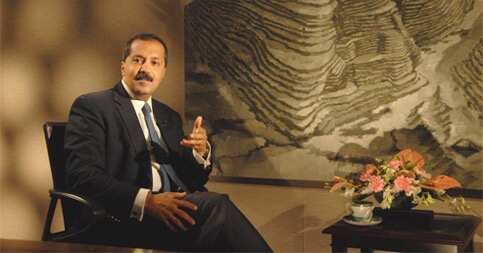 Mumbai: Sanjay Nayar, chief executive officer of KKR India Advisors Pvt. Ltd, the Indian arm of one of the world’s largest private equity (PE) funds, said India offers a long-term growth potential in every sector, but the current environment is tough. Between the private equity fund and the non-banking finance arm, you have at least $2 billion exposure to India. What kind of impact do you see of a slowing US economy and the European debt crises on India? The US doesn’t see a double dip; it probably works its way out of system. The bigger issue is in Europe—the financial institutions have exposure to a lot of sovereign debt, and right now it’s not very clear how sound it is. The financial agility in the whole European system is pretty weak and that reflects in the capital markets and the bond markets in that part of the world. By contrast, there is a lot going on in the US and the markets are open and they are functioning. With the external environment, my sense is that yes, India will be impacted like anybody else, a little bit through the export route. But from a capital market point of view, obviously with so much risk in the world, at the end of the day while India is still a securely positive story and some amount of risk is taken off the table but the currency and the stock markets do get impacted. I would say not overplay the overseas card and we should be very clear that India has its own set of issues. Many believe that India will largely be unaffected and in fact the crisis in Europe is an opportunity for India. Look at the secular story, the domestic demographic shift that’s going on, the consumption boom in this country…If only we had got the investment spending right from the beginning …We have let that opportunity go and this puts us into a different situation today. It’s still an opportunity if we can get some reforms back on track. The key thing for us is to just put our head down—and by us I mean obviously the government and the policy makers—and get a few things done. Even if we start now, we will take a little longer because investment spending and trickle-down effect does take much longer. ...It’s still not too late. There is enough elasticity of growth in this country if we get a few things going in terms of reforms. What are the few things? The insurance, pension, some basic things and banking… Things are to be done on land reforms and on the agricultural side. Some of these are not that political as they are made out to be. If we have the conviction and the leadership, the impact would be quite immediate because elasticity and the need for this is so much that it can really do wonders. It will also get the confidence back into the local industry to invest and spend and, finally, global investors still want to invest in India. Secularly it is one of the strongest stories, but if you keep over-promising and not delivering, then it loses its charm. If we start delivering on a few of these reforms, you will be surprised at the positive inflow of capital again. What will be the top most priority? As I said, get the infrastructure spend going... It does take time but I am sure a couple of fast-track projects that are on the anvil can get approved on a fast tract and get going. I think there is enough to be done on the agricultural front. The insurance and pension reforms have been on the table for quite some time. So you are saying it’s largely the undoing of the domestic factors. That’s my sense. We have an expanded fiscal account, an expanded trade account and an expanded current account deficit. So the level of flexibility we have today is not that much. Whatever actions you do now they have to be very well measured and well delivered. You don’t have the luxury which you had two-three years ago because we have over-budgeted revenues. They haven’t worked out for many reasons. Our flexibility is much lower than before. So whatever measures we do have to be extremely precise and extremely well executed to get the impact. I just don’t see the design and the leadership to get that done and that’s why I think it’s a largely local issue. What’s your take on equity markets? I think we are still slightly expensive compared to a lot of our peers… trading at 14 times forward is not something that is cheap. It would be cheap if you could guarantee 20-25% growth into perpetuity which you can’t, but I don’t think the markets are going to collapse or something. They can stay at these levels. Downside risks are still there. A little bit, not much. But I think they can stay at these levels for a couple of quarters at which point they will look cheaper because the earnings will obviously grow… The profits are getting impacted with the over all macro situation. We have always said Indian business grows despite the government. I don’t think we can say that any more and I think that inaction on the policy front does impact the micro story, not to mention that doing business is become more difficult. The environment is definitely different than what it was four-five years ago. What’s happening in the currency market? The fact is that a lot of people are pulling capital out and you are seeing the impact. But I really don’t know how the rupee is stayed and how it’s managed or not managed. I think fundamentally rupee is probably now trading at more fair value than where it used to because we are running four deficits - revenue deficit, trade deficit, current account deficit and fiscal deficit. There is no reason for the currency to be strong. I would say that it is trading at much more than its fair value right now. So you are seeing downside risk for equities and currency. Not much from here. The equity markets can continue at these levels for a few quarters which mean the stocks will look much cheaper as we go ahead. The currency could be anywhere between 47 and 50 (a dollar) for sometime. If it continues between 47 and 50, it can benefit the export sector quite a bit although it does hurt us on the inflation front, given that we import a lot of commodities and oil. But both commodity prices and oil is coming off. That should in a way balance out. You said that corporate India had been growing despite the government, but now it’s not happening any more. Have they stopped investing? The companies are obviously working very hard in managing inflation of costs. So one is just the normal operations are getting impacted because there is inflation at every aspect of costs of goods sold. They are passing that on to the consumers. You can’t pass on much. The Indian consumers are very price conscious in whatever things they pick up. So, the management of margins is becoming much more difficult. I don’t think there is that much of fresh investment spending in the private sector going on, as one would have hoped for. Again, it comes back to the larger issue - are people feeling confident about putting money back to work? There is a bit of a struggle right now. To what extent are your investment decisions and strategies being influenced? There are a couple of things. One is that private equity as an asset class clearly provides very-very long term capital and that doesn’t change. Therefore, we are not worried about quarterly earnings or even yearly. But one thing is becoming clear that you really have to back very strong management teams and obviously partner the entrepreneurs, because most of the companies are entrepreneur-driven here. What’s becoming more important is finding the right partners and backing the right management teams. The second thing is obviously, there is a view on various sectors. In India there is a long term growth potential in every sector. Even now, because structurally, the secular growth story is absolutely in tact. The final thing really becomes the ability to execute against the plans that people have ... Not only because management team is good or bad but in what sector are they working and what are their external constraints that either help them or detract them from executing the plan. A lot of external factors come into play as well. One has to look at all these things before making an investment decision. So you started KKR in India in 2008. Is the investment scene getting worse? I started in 2009 after the Lehman crisis. In terms of deal flow and opportunities, there is a lot of it because right now the equity markets are quite shut. We are seeing a lot of deal flow and will see even a steeper increase in deal flow as we go ahead. If the growth and the spending do start the right way, you are going to be short of capital here .... There is going to be reluctance to dilute stake in banks by the government and it’s not easy for large public sector banks to provide you long duration debt capital which is going to be so badly required for infrastructure sector. When you put these two things together, there will be a scramble for capital. There is going to be lot of opportunities both on long term debt as well as high quality long term equity. We will have a set of new private banks shortly. I don’t think so; I have never believed that you needed too many banks anyway. But I don’t think you are going to have too many banks shortly. It’s not going to be easy; just the draft guidelines are out and they need to be finalized and then there the Banking Regulation Act needs to be amended. It’s a long process. Should companies be allowed to float banks? I never believed in that. While investing, what kind of weightage do you give to corporate governance? Indian companies have come a long way in terms of corporate governance and we are very satisfied the way we are seeing functioning of the boards. Corporate governance is an important criterion for us and I think that private equity and independent directors can help improve that. We are having a lot more open dialogue at the board level and that’s very encouraging. For many private equity investors, 2011 was to be a year of exit but it turns out to be that you can’t really exit because primary market almost doesn’t exist virtually. In some way many private equity investors are trapped and they say returns are actually coming down from 25% to 18% and even 15%. Yes, exits are not easy; you can’t take exits for granted. We don’t have a big track record as a market where we have provided exit to private equity. The kind of private equity deals that are happening since 2006 and 2007 in private unlisted companies and holding companies and operating companies, we need IPOs (initial public offers) for exits… You are right, it’s difficult to get exits. Is the return expectation getting muted? Yes, again it depends upon each firm. We do take a very healthy dose of scepticism when we look at the exist and the exit multiples. I don’t think you should think that in India you are going to get an expansion of multiples. You have to take a good dose of scepticism and make sure that you either have a small contraction or at best be flat in terms of entry multiples. The only way we are going to make money here is that you really have to work hard with the companies on operational improvement and profit generation. That’s going to be the key and well-run companies, proficient in what they do will always have a good exit three-four years from now. But right now as things stand today, it’s a tough environment to exit. I think capital is always going to flow where there are opportunities, adjusted for risks of all kind. … If you want to attract overseas capital you have to look really beautiful from every aspect, governance, execution, infrastructure,… You are entering a new era where capital is not going to be able to flow that easily, everybody needs capital. Does India look very ugly? What’s your take on interest rate? I think we are getting to the end of it, in terms of the hikes. I just wished that we probably used it as a much harder tool in the beginning. It has been a very gradual and a very long phase..
Should the hikes have been faster, quicker? Quicker in the beginning as it does lose its sharpness as a monetary tool over time. People talk about blunt monetary tools.... I think this is what happened in a way..
We see many private equity (PE) funds are raising money to invest in listed mid cap companies where they see the growth opportunities instead of finding companies, hand holding them and growing with them. We are going to try and stay to the core and the core is what you said. You have to find good entrepreneurs, good businesses with good management teams to back and just stay with them in the long run and really get aligned from the beginning in where we can add value.. We are not big believers of investing in listed companies. If we have to because India has so many listed companies, that’s a different issue. What is the philosophy behind running a very active NBFC (non-banking finance company) here ? The logic is just to be a much more complete alternate investment manager for Indian entrepreneurs and Indian companies. So when you are having a discussion about what solves a company’s need, you are not just talking of one product but you can actually try and help it along the capital structure. As you know in India, if you want to do anything that’s remotely debt oriented, you should have a rupee balance sheet. So the NBFC is really a kind of a vehicle to have a rupee balance sheet that is funded by us. Finally, any plan to raise an India-focused fund? None right now because there is enough going on from our existing platform.